Melissa Olen earned a Bachelor of Fine Arts degree in Photographic Illustration from the Rochester Institute of Technology, with an emphasis in advertising photography. After her undergraduate studies Melissa worked for several fine edition digital print studios. The most notable position, at Booksmart Studio, was a multi-faceted appointment that included fine art printing, fine art book making, custom ICC profile generation for clients, as well as creating generic profiles for Canson Infinity, BF Inkjet, Intellicoat, and Crane Museo. Melissa later studied at the University of the West of England in Bristol, UK, where she earned a Master of Arts in Interdisciplinary Printmaking. During her studies at UWE Melissa worked as an intern at the Center for Fine Print Research, where, along with Paul Laidler, she collaborated with a host of artists exhibiting on the international level. Along with her academic work Melissa taught continuing professional development courses for researchers, technicians and industrial partners dealing with digital workflow and color management. 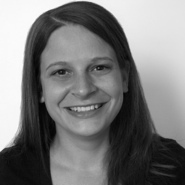 Melissa currently works for Excelsus Solutions, LLC, in Rochester, NY, where she is involved in commercial printing for display as well as prepress operation and color management. For centuries the title of master printer has implied a deep technical understanding of processes and tools. Printers tend to form a very intimate relationship with their equipment, often resulting in declarations that the press has become an extension of their own hand. There are nuances of running a press with fine attention to detail that only come from hours spent laboring in the process. Beyond that, there is the knowledge of ink and paper and their compatibilities. It is the accumulation of knowledge of each individual aspect of the printing process that makes a printer elevate himself from the role of tradesman to that of a master printer. In order to be respected as a master printer in the digital realm one must not only hold the technical skills relevant from past mechanical processes, but also obtain the knowledge of the virtual attributes that come with the computing and electronic aspects of digital printing. Color palettes have not only increased beyond the standard CMYK, but the color mixing of these inks has become substantially more refined and requires a different understanding of application. The substitution of a digital printer for a press brings different considerations for process, such as the characteristics of the image file, the printer and ink system, and the substrate used for output. Yet it is still the ability to make the equipment an extension of the self, by obtaining the knowledge of the processes, consumables, and developing technologies in order to produce prints of a high quality, that makes the digital master printer akin to his traditional contemporaries. This paper introduces the physical and virtual aspects of digital printmaking that must be considered in order to obtain the level of quality expected from a master printer working with the digital technologies of the twenty-first century.